Athene adjusted commissions on their Athene MYG products. The new commission schedule will apply to issued Athene MYG business with applications dated on or after September 3, 2016. To obtain an updated copy of your commission schedule, please contact us. Commissions are being reduced by 50 bps on the MYG 5 and 7. Thank you for your business. For product and sales support, please contact the best Sales Desk in the business at 888‑661-1999. Athene MYG fixed annuity [MYG (09/15) or state variation] are issued by Athene Annuity and Life Company, West Des Moines, IA. Product features, limitations and availability may vary by state; see Certificate of Disclosure for full details. Products not available in all states. Interest rates to increase effective August 26, 2016. While we cannot reissue policies, any pending Athene MYG business will receive the new rates if received after 4 pm CT on July 18, 2016 and the contract issue date is on or after August 26, 2016. * Guaranteed Percentages for these options will remain unchanged. Applications with cash received in good order by Athene no later than 4 pm CT on September 2, 2016 will be issued as applied for. Non-cash applications (e.g. 1035 exchanges, IRA rollovers) received in good order by Athene no later than 4 pm CT on September 2, 2016 will be issued as applied for if funds are received no later than 4 pm CT on October 28, 2016. Applications received after 4 pm CT on September 2, 2016 will be issued with the new rates. 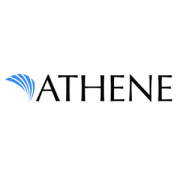 Visit Athene Connect for product information and to run an illustration. 1 Because the index applies a volatility control mechanism, the range of both the positive and negative performance of the index is limited. The index is managed to create stabilized performance and avoid very high positive returns and very low negative returns. The BNP Paribas Multi Asset Diversified 5 Index (the “BNPP MAD 5 Index”) is the exclusive property of BNP Paribas or one of its affiliates (BNP Paribas and its affiliates collectively, are hereinafter called “BNPP”) and is determined, composed and calculated by BNPP. “BNP”, “BNPP”, “BNP Paribas”, “BNPP MAD 5 Index” and “BNP Paribas Multi Asset Diversified 5 Index” (collectively, the “BNPP Marks”) are trademarks or service marks of BNPP and have been licensed by Athene Annuity and Life Company (“Company”) for use in a fixed indexed annuity offered by the Company (the “fixed indexed annuity”). The fixed indexed annuity is not, in whole or in part, sponsored, structured, priced, endorsed, offered, sold, issued or promoted by BNPP or any of its affiliates, or by Standard and Poor&rsquo;s or any of its affiliates (collectively, “S&P”) or by any third party licensor of information to BNPP (the “Third Party Licensors”). BNPP&rsquo;s only relationship to the Company is the licensing of the BNPP MAD 5 Index and BNPP Marks for certain purposes. S&P®, S&P 500® and S&P GSCI® are trademarks of Standard &amp; Poor&rsquo;s Financial Services LLC and have been licensed for use by BNPP. None of S&P, BNPP or any Third Party Licensors has any obligation to take into consideration any of the needs of the Company or any of the owners, annuitants or beneficiaries of the fixed index annuity. Poor’s Financial Services LLC and have been licensed for use by BNPP. None of S&P, BNPP or any Third Party Licensors has any obligation to take into consideration any of the needs of the Company or any of the owners, annuitants or beneficiaries of the fixed index annuity. BNPP, S&P OR ANY THIRD PARTY LICENSOR DOES NOT GUARANTEE THE ACCURACY, ADEQUACY, TIMELINESS, COMPLETENESS OR AVAILABILITY OF THE BNPP MAD 5 INDEX OR ANY COMPONENT THEREOF OR DATA INCLUDED THEREIN, OR THAT NO ERROR, OMISSION, DELAY OR INTERRUPTION WILL EXIST THEREIN. NONE OF BNPP, S&P OR ANY THIRD PARTY LICENSOR MAKES ANY REPRESENTATION OR WARRANTY, AND EACH OF BNPP, S&P AND THE THIRD PARTY LICENSORS EXPRESSLY DISCLAIMS ALL REPRESENTATIONS AND WARRANTIES, EXPRESS OR IMPLIED, REGARDING THE BNPP MAD 5 INDEX, ANY BNPP MARK, AN S&P INDEX, TRADEMARK (INCLUDING S&P 500® OR THE S&P GSCI®) OR SERVICE MARK OF S&P (COLLECTIVELY, THE “S&P MARKS”) OR THE FIXED INDEXED ANNUITY, INCLUDING, WITHOUT LIMITATION, THOSE REGARDING (I) MERCHANTABILITY OR FITNESS FOR A PARTICULAR PURPOSE OR USE, OR (II) THE ADVISABILITY OF ANY PERSON INVESTING IN THE FIXED INDEXED ANNUITY. BNPP, S&P or any Third Party Licensor does not have any liability with respect to the fixed indexed annuity in which an interest crediting option is based on the BNPP MAD 5 Index is included, and is not liable for any loss relating to the fixed indexed annuity, whether arising directly or indirectly from the use of the BNPP MAD 5 Index, its methodology, any BNPP Mark or S&P Mark or otherwise. No purchaser, seller or holder of the fixed indexed annuity, or any other person or entity, should use or refer to any BNPP Mark or other BNPP trade name to sponsor, endorse, market or promote the fixed indexed annuity without first contacting BNPP. Under no circumstances may any person or entity claim any affiliation with BNPP without the prior written permission of BNPP. In calculating the performance of the BNPP MAD 5 Index, BNPP deducts a servicing cost of 0.50% per annum, calculated on a daily basis. In addition, the BNPP MAD 5 Index methodology embeds certain costs which cover among other things, rebalancing and replication costs. Such costs may vary over time with market conditions. These costs reduce the potential positive change in the BNPP MAD 5 Index and thus the amount of interest that will be credited to the fixed indexed annuity that includes the BNPP MAD 5 Index. The volatility control applied by BNPP may reduce the potential positive or negative change in the BNPP MAD 5 Index and thus the amount of interest that will be credited to the fixed indexed annuity that includes the BNPP MAD 5 Index. 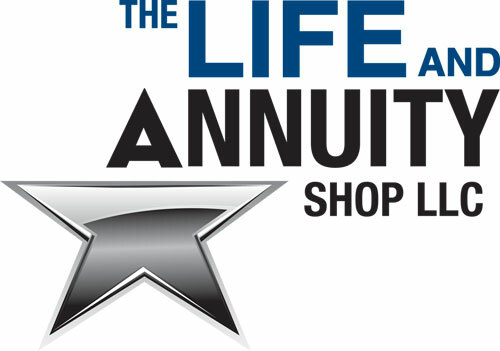 Athene Annuity and Life Company’s Products are not sponsored, endorsed, sold or promoted by Morningstar. Morningstar makes no representation or warranty, express or implied, to the owners of the Athene Annuity and Life Company’s Products or any member of the public regarding the advisability of buying annuities generally or purchasing the Athene Annuity and Life Company’s Products in particular or the ability of the Athene Annuity and Life Company’s Products to track general stock market performance. Morningstar’s only relationship to Athene Annuity and Life Company is the licensing of: (i) certain service marks and service names of Morningstar; and (ii) the relevant Morningstar index (“Index”) which is determined, composed and calculated by Morningstar without regard to Athene Annuity and Life Company or the Athene Annuity and Life Company’s Products. Morningstar has no obligation to take the needs of Athene Annuity and Life Company or the owners of the Athene Annuity and Life Company’s Products into consideration in determining, composing or calculating the Index. Morningstar is not responsible for and has not participated in the determination of the prices and amount of the Athene Annuity and Life Company’s Products or the timing of the issuance or sale of the Athene Annuity and Life Company’s Products or in the determination or calculation of the equation by which the Athene Annuity and Life Company’s Products are converted into cash. Morningstar has no obligation or liability in connection with the purchase, administration, marketing or crediting of interest for the Athene Annuity and Life Company’s Products. Morningstar does not guarantee the accuracy and/or the completeness of the Index or any data included therein and Morningstar shall have no liability for any errors, omissions, or interruptions therein. Morningstar makes no warranty, express or implied, as to results to be obtained by Athene Annuity and Life Company, owners or users of the Athene Annuity and Life Company’s Products, or any other person or entity from the use of the Index or any data included therein. Morningstar makes no express or implied warranties, and expressly disclaims all warranties of merchantability or fitness for a particular purpose or use with respect to the Index or any data included therein. Without limiting any of the foregoing, in no event shall Morningstar have any liability for any special, punitive, indirect, or consequential damages (including lost profits), even if notified of the possibility of such damages. Athene Ascent Pro [GEN (09/15) NB, ICC15 GEN (09/15) NB], Athene Ascent 10 Bonus 2.0 [GEN10 (04/14), GEN10 (07/14), GEN10 (09/15), GEN10 (12/15)], Athene Ascent Pro 10 Bonus Select [TBS10 (09/12) SR, TBS10 (04/14) SR, GEN10 (07/14) SR, ICC16 GEN10 (09/15) SR], Athene Ascent Pro 10 Bonus [TBS10 (09/12)] or state variations; Athene Benefit 10 with Enhanced Benefit Rider [GEN10 (04/14),TBS10 (09/12) SR, TBS10 (04/14) SR, TBS10 (09/12) NB, EBR (04/14)]; Athene MYG fixed annuity [MYG (09/15) or state variation]; Athene Performance Elite [GEN10 (04/14), GEN10 (04/14) G, GEN10 (07/14), GEN10 (09/14), ICC14 GEN10 (04/14), TBS10 (9/12), TBS10 (09/12) SR, TBS10 (09/12) SR G, ICC14 TBS10(04/14) SR, GEN10 (07/14) SR, TBS10 (04/14) SR, TBS15 (09/12), TBS15 (09/12) G, TBS15 (09/14), GEN15 (11/14), MVA (07/14), PEPR (11/14), PEPR (11/14) G, ICC15 PEPR (11/14), ICC15 PEPR NMV (11/14)]; TargetHorizon 5 Annuity TBS5 (09/12); TargetHorizon 10 Annuity TBS10 (09/12), TargetHorizon 10 Select Annuity TBS10 (09/12) NB, TargetHorizon 15 Annuity TBS15 (09/12), or state variations; Athene SPIA Single Premium Immediate Annuity [SPIA (06/87)] or state variations are issued by Athene Annuity and Life Company, West Des Moines, IA. Product features, limitations and availability may vary by state; see Certificate of Disclosure for full details. Products not available in all states. Commission will change for FGL’s Safe Income Plus® FIA. Guaranteed Minimum Withdrawal Benefit (GMWB) and Enhanced Guaranteed Minimum Withdrawal Benefit (EGMWB) roll-up rates will also be updated for the Prosperity Elite® series, the FG AccumulatorPlus® series, FG Index-Choice® 10 and the Performance Pro® FIA. Form number: API-1018(06-11), ACI-1018(06-11); et al. 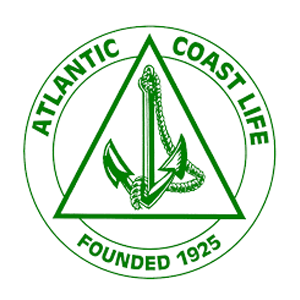 “FGL” when used herein refers to Fidelity & Guaranty Life, the marketing name for Fidelity & Guaranty Life Insurance Company issuing insurance in the United States outside of New York. 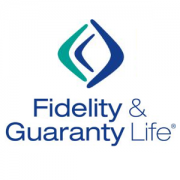 Contracts issued by Fidelity & Guaranty Life Insurance Company, Des Moines, IA. Period certain terms less than 10 years on the North American Income® single premium immediate annuity (SPIA) will temporarily be unavailable. Updated commission schedules will be available on North American’s website by September 1, 2016. FOR AGENT USE ONLY. NOT TO BE USED FOR CONSUMER SOLICITATION PURPOSES. 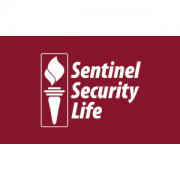 Products issued by North American Company for Life and Health Insurance®, West Des Moines, IA. Product features and options may not be available in all states or appropriate for all clients. See product brochures, disclosures and state availability chart for further details, limitations and information on appropriate state variations. The NAC BenefitSolutions® is issued on form NC/NA1006A (contract/certificate), AE560A, AE561A, AE563A, AE564A, AE565A, AE567A, LR427A and LR433A (riders/endorsements). The North American Charter® Plus is issued on form NC/NA1007A (certificate/contract), AE576A, AE577A, AE578A, AE580A.PB, AE581A, AE582A, AE583A, AE584A, AE585A, AE586A and AE587A (riders/endorsements). The NAC RetireChoice® is issued on form LC/LS160A (certificate/contract), LR431A, LR424A-1, LR423A, AE520A, AE533A, AE529A, AE532A, AE531A, AE556A, AE557A, LR433A, AE530A, AE528A, AE511A and LR427A (riders/endorsements). The North American Charter® is issued on form LS156A (contract), LR342A, LR398A and LR445A (riders/endorsements). The North American Precision Series® is issued on form LS155A (contract), LR342A, LR398A, and LR444A (endorsements/riders). The North American Guarantee ChoiceSM is issued on forms NC/NA1000A (certificate/contract) AE515A, AE516A, LR427A, LR433A, LR441A and LR441A-1 (endorsements/riders). 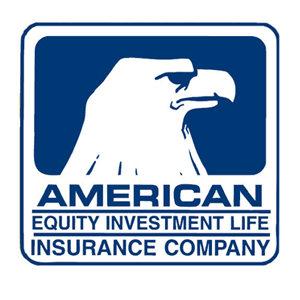 The North American Income® annuity is issued on form LS116A. 1. Commission is based on WA Regular schedule and may vary according to the product, client’s issue age, and issue state. See your current commission schedule for further details. Updated rate sheets will be available on our website by September 1, 2016. Effective September 1, 2016, the Royal Choice Multi-Year Guarantee Annuity (MYGA) rates will change. Effective September 1, 2016, the Royal Choice Multi-Year Guarantee Annuity (MYGA) rates will change. Please review the new rates below for ALL rate changes. *Rates are subject to change. Rates are for the Initial Guarantee Period. **The Minimum Guaranteed Credited Interest Rate (Minimum Non-forfeiture Rate) is established on the Issue Date and will not change for the life of the contract. New interest rates will apply to applications received in the Administrative Office on or after Thursday, September 1, 2016. To receive current interest rates, applications must be received in the Administrative Office on or before Wednesday, August 31, 2016. Applications may be faxed to 844-348-1239, emailed to RoyalNeighbors@aiasvcs.com, or mailed to P.O. Box 14209, Clearwater, FL 33766-4209; overnight address is 2650 McCormick Drive, Clearwater, FL, 33759. Pending rollover and/or transfer paperwork received in the Administrative Office on or before Wednesday, August 31, 2016 must have funds received on or before Thursday, October 27, 2016 in order to receive the current rates. 2978-R; Rev. 8-2016 For agent use only. Not for use with the general public. Available to applicants ages 0-90 • Nursing home waiver rider, applicant ages 0-80 (not available in MA) • Full Accumulation Value at Death • Available in 49 states Competitive Rates! Current rates as of 8/18/16. Competitive rates combined with the safety offered during these uncertain times make Certainty Select a compelling product for your clients – and for you! Effective August 15, 2016, the rates for our MYGA 5-year and 7-year annuities will decrease by 10 basis points. Additionally, our MYGA 10-year annuity rates will decrease by 20 basis points. To download an updated Annuity Rate Sheet, please see below. August 14, 2016: Date applications must be signed to receive current rates. Applications must be signed before or on August 14, 2016 to receive the current crediting rates. August 15, 2016: Date when new crediting rates take effect. Any application signed on or after August 15, 2016 will receive the new crediting rates. August 19, 2016: Date application must be received in Home Office to receive current rates. Applications signed before or on August 14, 2016 must be received in the Home Office by August 19, 2016 to receive the current crediting rates. We will accept faxed or e-mailed applications on August 19, 2016. September 30, 2016: Date 45-rate lock ends. All transfer and exchanges for any application signed on August 14, 2016 or earlier must be completed by September 30, 2016 in order to receive the current crediting rates. American Equity’s Choice Series and MYGA rates will change on August 5, 2016. To receive the current rates, original applications along with cash or 1035/Direct Transfer paperwork must be received in our office by 4:45PM CT on Thursday, August 4, 2016. Transfer funds must be received in our office by 1:00PM CT on Friday, September 2, 2016. Transfer funds received after Friday, September 2, 2016 will receive the new rates as indicated below. NO EXCEPTIONS! All versions of the Choice Series Lifetime Income Benefit Rider payout factors will be adjusted effective August 25, 2016. Additionally, the Multiplier on the Choice Series Lifetime Income Benefit Rider with Indexing Income Option will increase. To receive current payout factors and the current Multiplier, original applications along with cash or 1035/Direct Transfer paperwork must be received in our office by 4:45PM CST on Wednesday, August 24, 2016. Applications received Thursday, August 25, 2016 and after will receive new payout percentages. NO EXCEPTIONS! Payout factors will decrease by 25bps for all ages. Please see table below for examples of the new payout percentages for ages 60, 65 and 70. Thank you for your business and support! Please call Marketing at 888-661-1999 if you have any questions. *Spread is the same as Asset Fee as described in the Contract. Annuity and Riders issued under form series ICC14 IDX8, ICC13 MYGA, ICC14 R-LIBR, 14 R-LIBR-W,ICC16R-LIBR-IDX and state variations thereof. Availability may vary by state. Effective August 9, 2016, the rates for Safe Haven and Safe Harbor 5, 6, and 7-year annuities will decrease by 15 basis points. Additionally, 10-year annuity rates will decrease by 20 basis points. New Interest Rate Sheet is at the bottom of this post. Date applications must be signed to receive current rates. Applications must be signed before or on August 8, 2016 to receive the current crediting rates. Date when new crediting rates take effect. Any application signed on or after August 9, 2016 will receive the new crediting rates. Date application must be received in Home Office to receive current rates. Applications signed before or on August 8, 2016 must be received in the Home Office by August 15, 2016 to receive the current crediting rates. We will accept faxed or e-mailed applications on August 15, 2016. All transfer and exchanges for any application signed on August 8, 2016 or earlier must be completed by September 23, 2016 in order to receive the current crediting rates.